On October 30 of this year, a tiny but, in its way, momentous event took place in perfumery : what must surely be the first open-source perfume formula ever was presented on Michelle Krell Kydd’s marvelous fragrance and flavor blog, Glass Petal Smoke. 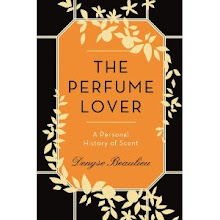 Michelle asked Yann Vasnier, of Givaudan, for a perfume inspired by Baudelaire’s poem “The Perfume Flask”, from The Flowers of Evil. Vasnier provided her both with the composition and its formula, which she posted on her blog. Of course, any attempt to reproduce Le Flacon would be stymied by the fact that the materials Yann used are all but inaccessible (ambergris infusion, civet, musk Tonkin infusion)… However, like open-source software, Le Flacon’s formula is available to play around with. 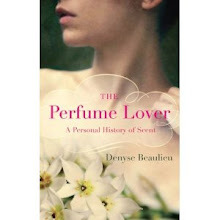 “The Perfume Flask” speaks of “opening old trunks brought home from the Far East”, of “the powdery odors of moments that are dead”; of “old and rancid love, charming and long-interred”; of the “sweet pestilence of my heart”… The old perfume flask is him; the “beloved poison prepared by the angels”, his lover. The poem reeks of the hope for the grave of a tortured love. I must admit I was expecting some whiff of corruption, but what rises from Le Flacon are the unmistakable, fresh-musty accords of the ghost of chypres past. The acrid smell of the dregs of a dried-up bottle hovers under the fresh rose-galbanum of Miss Dior (the original, not today’s travesty) as though the vintage version, complete with traces of age, were beating on the lid of the top notes to be released. The oddly fresh-fatty smell of Melonal acts like a Roudnitska quotation (shades of Diorama) until the peach-jasmine accord rises to resurrect Mitsouko. A very subtle smell of vegetal corruption, like the brackish stench of a forgotten flower vase, threads in and out, barely perceptibly, throughout the development, until the scents folds into its animalic base of civet, musk, beeswax and very dominant ambergris. By the time it subsides, another renegade poet’s song comes to mind: François Villon’s “The Ballad of Dead Ladies” (“Ballade des dames du temps jadis”), a lament on bygone beauties, with its haunting refrain “where are the snows of yesteryear?”. Here’s hoping that Michelle and Yann’s groundbreaking endeavor will spawn imitators: to both, bravo. My God, I'm swooning. The poetry, the perfume...it all sounds so beautiful. Good to see you back, D.
It *is* beautiful, Matt. And thanks! I've been a bit overwhelmed by real-life activities (and enjoying my collection of already-reviewed beauties). Welcome back, D. What a beautiful post this was. And Le Flacon sounds stunning! This was such a cool project, and I loved reading Michelle's article on it. As usual, your thoughts and writing then give me more layers of understanding...and rumination. Wonderful. 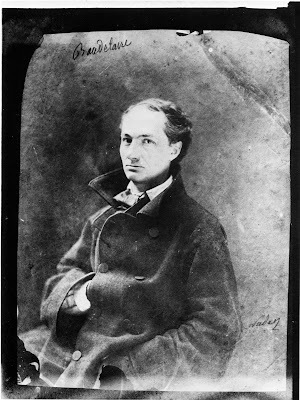 So now I'm thinking Baudelaire (poet praising artifice/artificial)...Benjamin (art as reproduction)...perhaps I'm forcing a connection, but nonetheless, it's a fun little nerdy brainfest for me today. Scentscelf, I'm afraid coming down from the fragrant empyreum is our common lot! Wendy,I can't really say welcome back since you're *still* halfway round the world from me, but virtually, le coeur y est. Yann Vasnier has always lent his creativity to projects like this that make perfume of poetry and poetic perfume of life. The Dia de Los Muertos fragrance altar installation we did up here in Anchorage at our little gallery wouldn't have happened without him. Yes, Cait, I remember that. It's great that some young perfumers are ready to come out of the lab and experiment... I sense a trend. Oh my, how wonderful, and your description of this unique perfume is just gorgeous, what a great idea!